Sorry for the break in reporting. 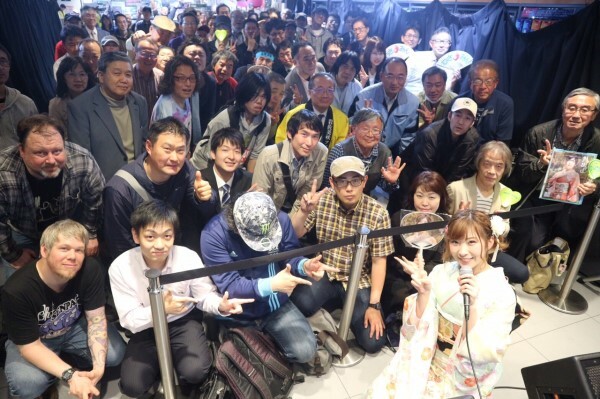 Wasamin has spent the last week in Okinawa, and unfortunately I decided not to go. In fact, she was just in town for this event, then she took off to Osaka for the next two days. Then next week it is off to Fukui, and the Port of Obama for half of Golden Week, before she comes back for her special ‘Love Live’ acoustic concert. It was nice to be going to a Wasamin mini-live again. It seems like forever since I went to the last one. In fact, it was the beginning of April. This was a dual-promotion, where you can do a handshake if you purchase a copy of her 6th single, or get a 2-shot plus bromide if you pre-order her upcoming concert DVD release. A couple of interesting notes. First off, they were having tons of trouble with the sound system. We got there around 45 minutes early to get a good spot, and they were trying to fix the audio the entire time. And the end of the day, they thought they had it fixed, only to have it fail around mid-way through the show. But Wasamin, ever the professional, had fun with it. They released photos of the DVD/BluRay covers a few days ago, and they had the posters on display at the back of the stage. 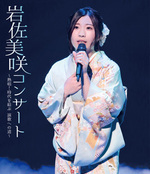 Wasamin hates the cover, and thinks she looks bad on it. Every time one of us said otherwise, she would argue with us. Wasamin’s repertoire is getting so big, she is forgetting which songs come from which releases. When she introduced Ihoujin, she said it was from the Hatsuzake single, before her manager, Ichikawa-san corrected her. One thing Wasamin has been doing for a while now is ‘playing’ with the songs she performs. That is, she experiments with different inflections, and emphasis, just to make it interesting. Tonight it was evident on Nada Sousou, where she stylized the vocals on the chorus in a slightly different way. When Wasamin returns from Osaka, she will be working in the JOYSOUND booth at some convention at Makuhari Messe this Sunday. Then on Tuesday it is her monthly challenge campaign in Chiba. I may not go to the Makuhari thing, but I will definitely report from the Chiba event.